In a Western Conference matchup, the San Antonio Spurs who are currently placed #8 will host the Denver Nuggets who are sitting comfortably at the #2 spot. The Spurs beat the Oklahoma City Thunder in their last game and will look to continue to make a run for the playoff spot. 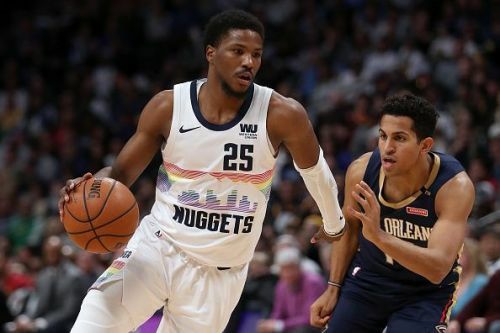 The Nuggets, on the other hand, are coming off a 2 game losing streak with losses against the Utah Jazz and New Orleans Pelicans. DeMar DeRozan has been the best player on the team this season. The Spurs are on a two-game win streak as they beat the Pistons and the Thunder in their last two games, both played on home turf. They have always been a team which performs well and home but has struggled consistently playing away games. They managed to salvage only 1 Win out of 8 games in their last road trip. Having said that, the Spurs will look to capitalize and feed off the energy from the AT&T Center. 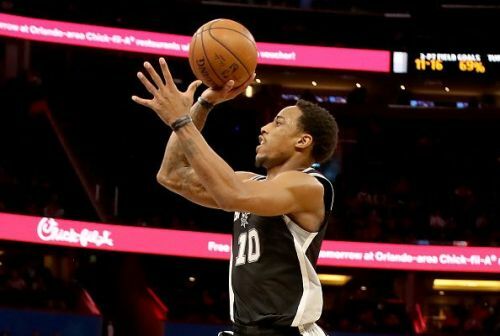 DeMar DeRozan leads the team in points per game averaging 21.5 points a night and also leads the team in assists per game dishing out 6.1 dimes every game. LaMarcus Aldridge has been on a scoring spree, dropping 27, 24 and 26 points in his last 3 games. All eyes will be on the two of them to drive the Spurs fast the finish line. After having won 5 straight games towards the fag end of February, the Nuggets started the month of March with 2 losses. The Nuggets will look at Nikola Jokic as their primary weapon which has been the case for the entire season for this team. The Serbian has been an MVP level candidate who tops the roster in points, assists, rebounds, and steals per game. Jamal Murray who runs the point in Denver has scored 20 points in each of last 3 games. 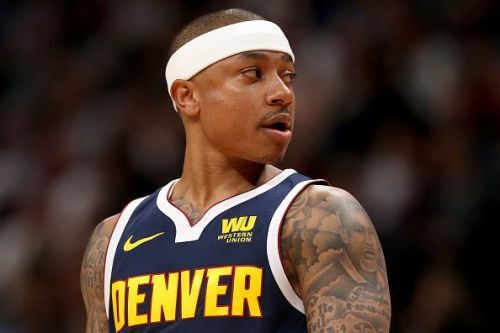 It will be interesting how Head Coach Michael Malone uses a veteran point guard like Isaiah Thomas who returned from injury on February 13th. The Spurs are fighting for a Playoff spot and the atmosphere inside the AT&T Center will be like a Playoff game. The Nuggets, on the other hand, who are placed 2nd in the Western Conference, would want to better their record and clinch the Playoff spot as early as possible. I expect the Spurs to make the home-court advantage count and hand a third consecutive defeat to the Nuggets. The San Antonio Spurs to beat the Denver Nuggets.